What happens in Vegas... doesn't stay in Vegas! At least, not in my case! 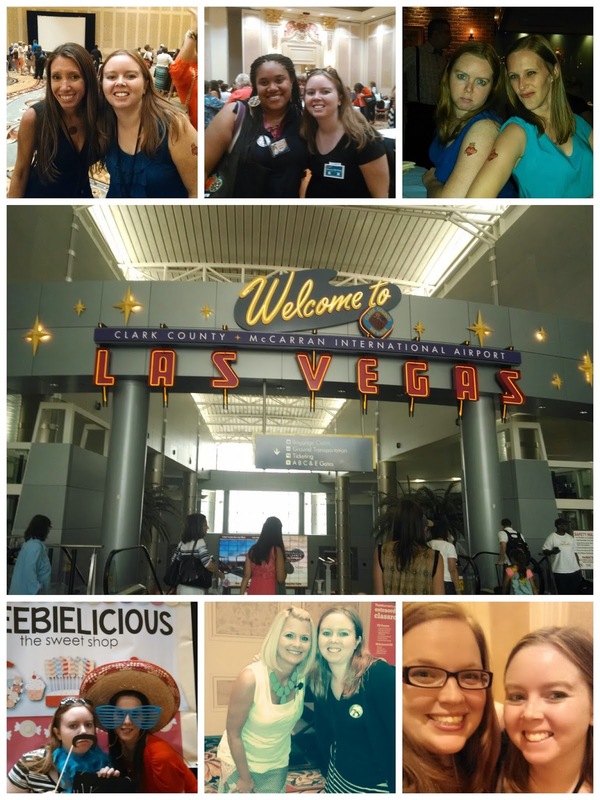 I learned so many amazing things in Vegas, and saw so many amazing people, that it would be totally unfair to keep it to myself! I can't do it! For those of you who aren't in the "know", there were actually a few conferences that were happening in Vegas this week. Monday-Thursday were I Teach K, I Teach 1st, Differentiated Instruction, and Singapore Math. On Friday was the very first Teachers Pay Teachers Conference. As a part of the conference, there a huge vendor area where people were giving away freebies, selling fun items like t-shirts, and providing educational merchandise and information as well. 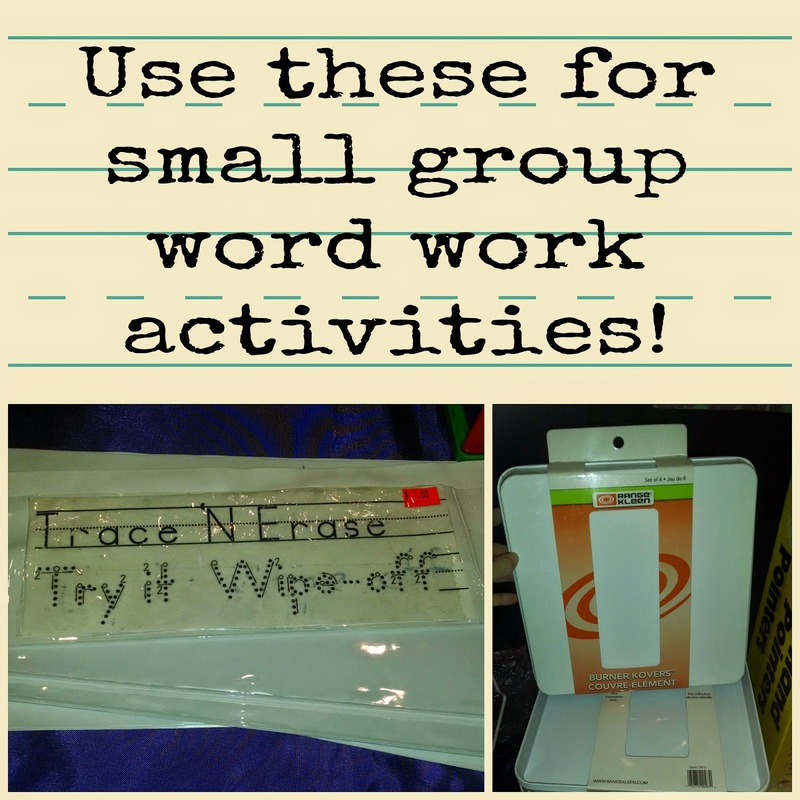 I walked around the vendor area a few times, and I found a few great items that I really thought would work in my classroom next year, and thought might work in yours. I am in no way getting paid for showing you these items. I just thought they were cool and wanted to share! Another cool idea I found was range covers. They had these in a display where they had magnetic letters arranged in words inside them, and they had also written in them with a dry erase marker. So cool! I love the idea of being able to put the magnetic letters inside these little trays so they don't go spilling everywhere. I really wanted to get some of these, but I didn't have room! At the same booth, I also saw this awesome board holder. It has 2 slits in it to hold up your dry erase board. So you could write something on the board and display it. Or, if you have magnetic boards, arrange some letters and show them to the students to copy. 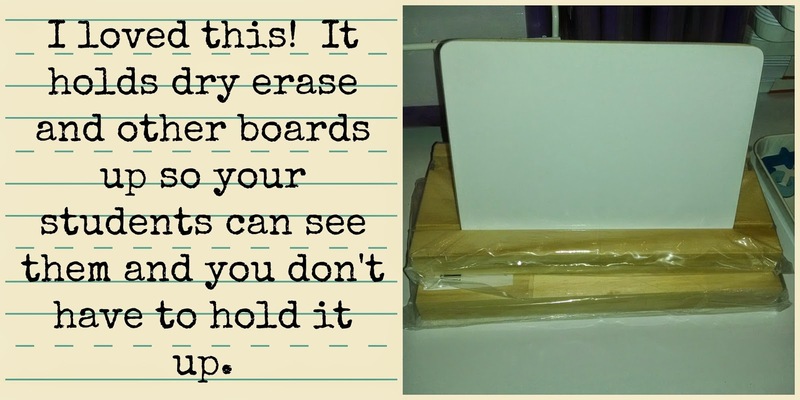 It is so small too, so it would be super simple to store in your classroom! 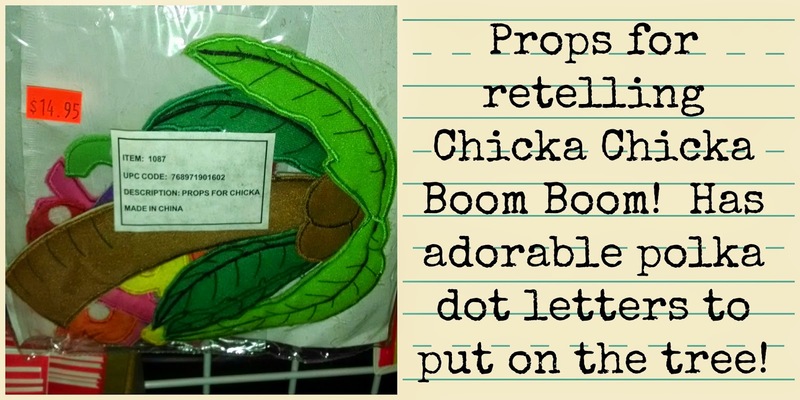 I don't know about you, but I LOVE the story Chicka Chicka Boom Boom! When I taught K, back 3 years ago, I had a tree and some letter cutouts to retell the story. But man, this is so much cuter! I am already trying to figure out how to make this myself! I also just loved these different cubes for word work. There were so many different cubes available it wasn't even funny! These would be so easy to make. They actually sold plain foam cubes as well, but you could make them out of paper, or you could get some small wooden blocks from Hobby Lobby and make them as well. I have used very small foam cubes from the dollar store before as well! 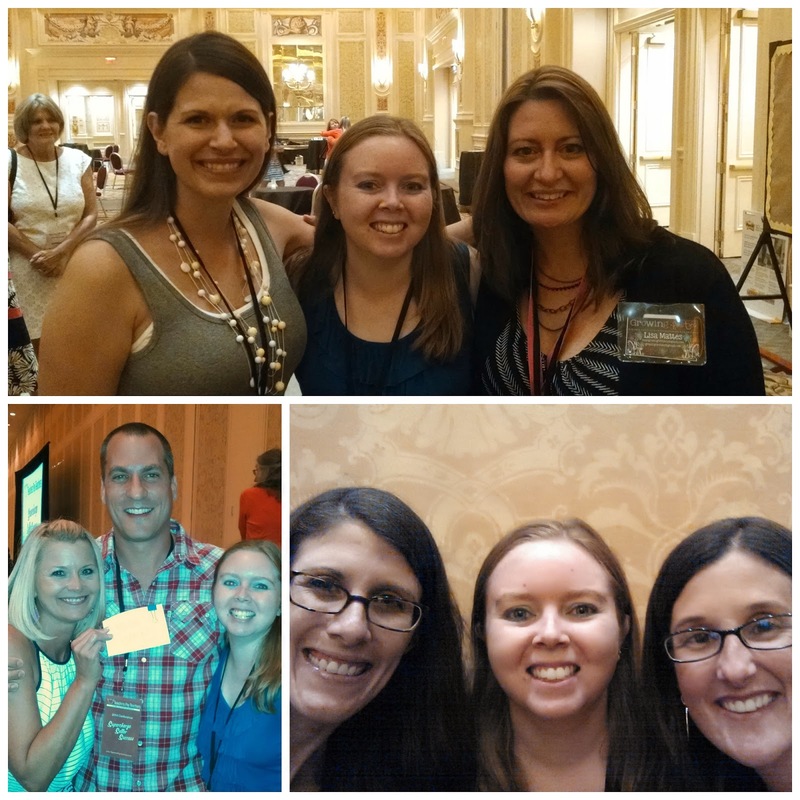 Of course, no trip to Vegas would be complete without meeting some amazing TPT Teacher-Authors! I was so incredibly lucky to meet some of the wonderful ladies (and gentlemen!) who helped inspire my teaching! I am sure many of them inspired you as well! 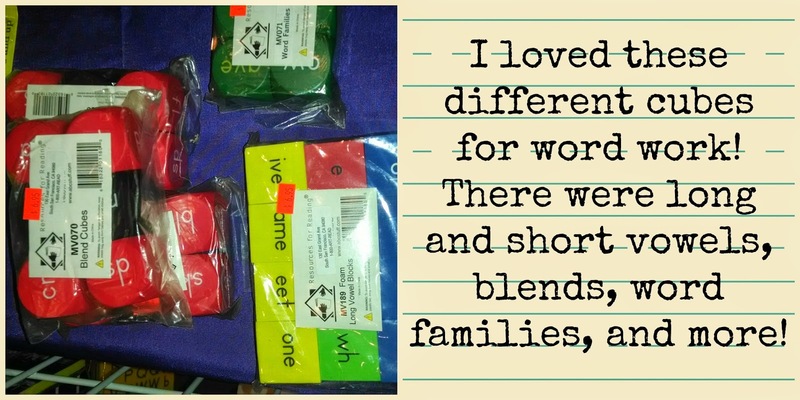 Around the same time I moved to teach first grade, I discovered some very wonderful things: teaching blogs and TPT. I started following so many first grade bloggers to get inspiration and ideas! I am so thankful that I had the opportunity to meet many of them! From top left: Erica Bohrer (Erica's Edventures) and I, Latoya Reed (Flying Into First Grade) and I, CaseyJane Cooper (Wiggling Scholars)and I.
Mary Amoson (Sharing Kindergarten) and I, Deanna Jump (Mrs. Jump's Class) and I, Kimberly Geswein (KG Fonts) and I.
I also got to spend some serious hangout time with these wonderful, talented ladies! I absolutely love these girls. It was the first time we met in person, and it was great! The picture on the left is me, Tweet Music, Scotten's Stuff, and School Bells 'N Whistles! The top is Katie Knight (Teacher to the Core), me, and Lisa Mattes (Growing Firsties). The bottom is Deanna Jump (Mrs. Jump's Class), Paul Edelman (Founder of TPT), and I; Sarah Paul (Sarah's First Grade Snippets), me, and Molly Lynch (Lucky to be in First). This trip was an absolutely fabulous experience, and I am so glad that I spent the money and took the time to go! I strengthened friendships I already had, made several new friends, learned a ton about blogging and TPT that will make my little business stronger, and most importantly, got inspired to be the very best teacher/author/blogger I can be! You certainly can't put a price on that! I definitely have more awesome ideas to share with you, so sometime later this week, I hope, I will be back to share it with you! Thanks for reading! If you went to Vegas, tell me what your favorite part of the trip was! If you didn't, tell me what you would like to learn if you get to go next year! Wow, Erica, you have inspired me to want to go next year! Thanks for sharing your trip and some of what you learned with us. Definitely going next year! Thanks or sharing all your pics! It was so nice to meet you Erica! Vegas was so amazing! My favorite part of the trip was definitely meeting everyone. 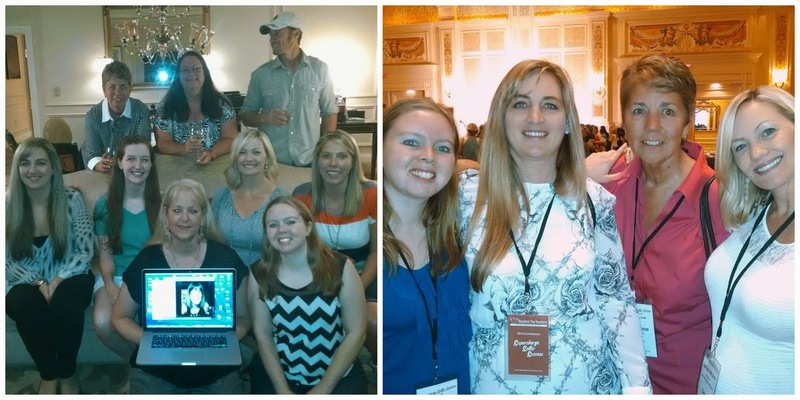 We have so many TpT authors and bloggers we adore and to actually meet them face to face was a blessing! I can't wait for next year!